It's time to do my annual recap of what sets were released in the past year. Ryan stole my thunder a bit last week but it's all good. First up - BBM. 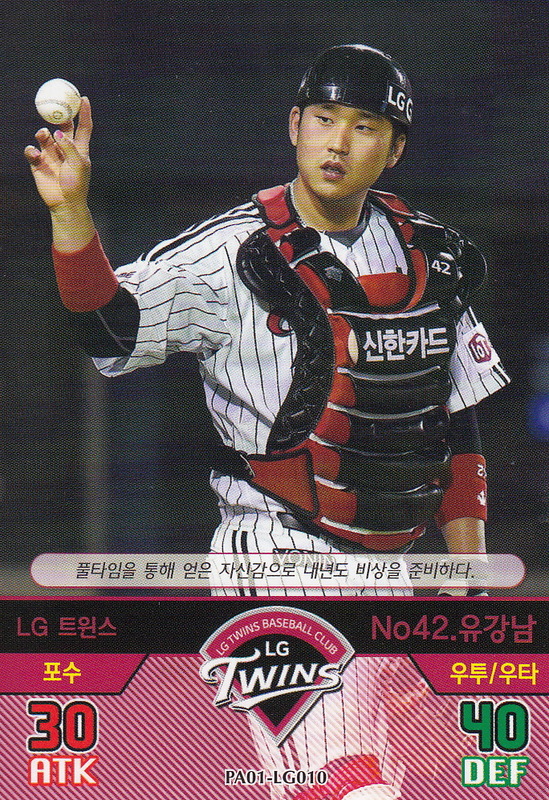 BBM did 42 sets this year, which may sound like a lot (and it is) but it is a smaller number than the 48 they did last year and the 50 they did in 2013. 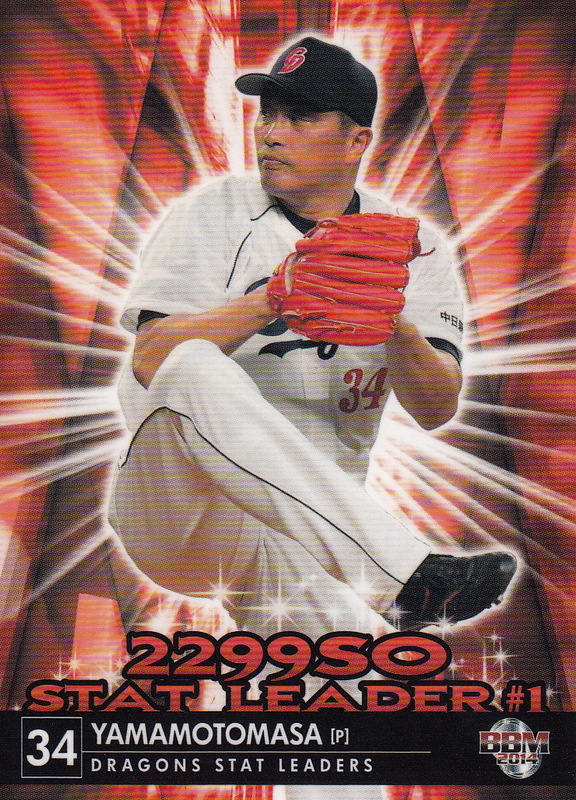 Once again I am counting the sets that say "2015" on the front, regardless of whether they were released in the calendar year or not. The sets were actually released starting in late November of 2014 (Memories Of Uniform) through late November of this year (Homecoming). 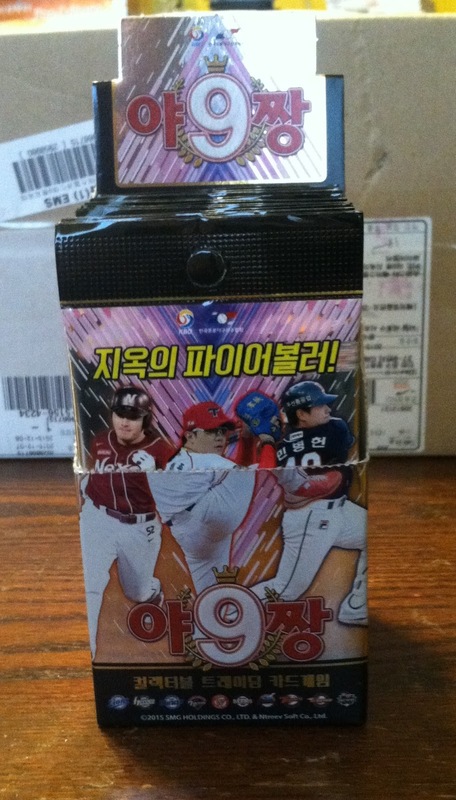 23 of the sets BBM issued this past year are the ones that they do annually - the 1st and 2nd Version sets, the high end Genesis set, the 12 pack based team sets, the Rookie Edition (draft pick) set, the "Farewell" box set for the players who retired in 2014, the Rookie Edition Premium box set, the "Historic Collection" OB set (the theme was "Memories of Uniform"), the two "Dancing Heroine" sets for the team's cheerleader/dance squads - "Hana" and "Mai", the Icons box set (this year's theme was "Aces") and the Classic set (which used the 1993 BBM format for the cards of the active players). 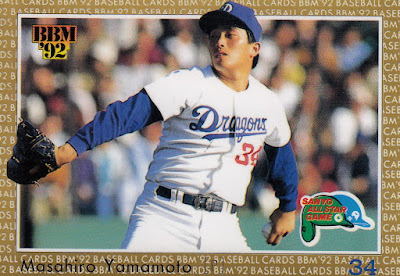 For the first time in a few years, there's no real change in the annual sets - BBM didn't drop any set that they'd been doing previously and there's no obvious candidate for a new annual set. The most likely candidate for a new annual set would probably be the "Master Of Insert" set - an ultra high end set that was a ridiculous 15,000 yen per box which contained one pack of six cards (really five cards and a checklist). All the base set cards were serially numbered to 75 and the insert cards and autograph cards were serially numbered to 25. 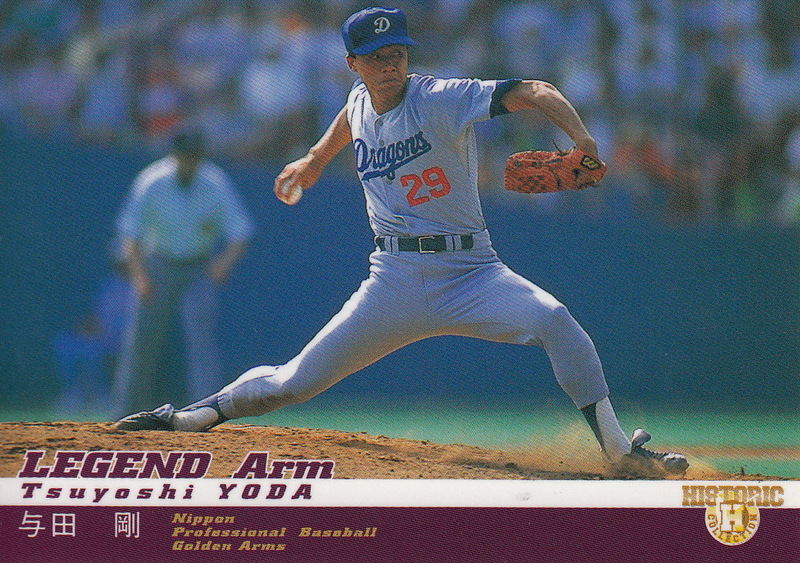 Jambalaya was only able to show a handful of cards from the set. BBM issued nine team specific box sets - Giant Step (Giants), Horizon (Fighters), Hawks Autograph Edition, Carp Authentic Edition, Dragons Autograph Edition, Tigers Authentic Edition Pitchers Version and Batters Version, Buffaloes Authentic Edition and Sky High. They also released a box set for the Dragons' Cheer/Dance squad called "Hippy Hippy Shake" and a box set for the Swallows top three batters - Shingo Kawabata, Tetsuto Yamada and Kazuhiro Hatakeyama - called "Swallows 3 Sluggers". They only issued one "single player set" this year - Hiroki Kuroda of the Carp got a set called "Homecoming". 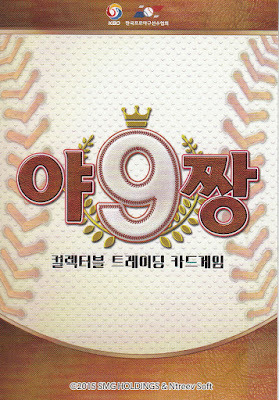 The remaining set sets all had historic themes. They issued two more of the "throwback" style "Achievement" box sets early in the year for the Buffaloes and Whales and another set in the "Legend" series - this time for the Carp. 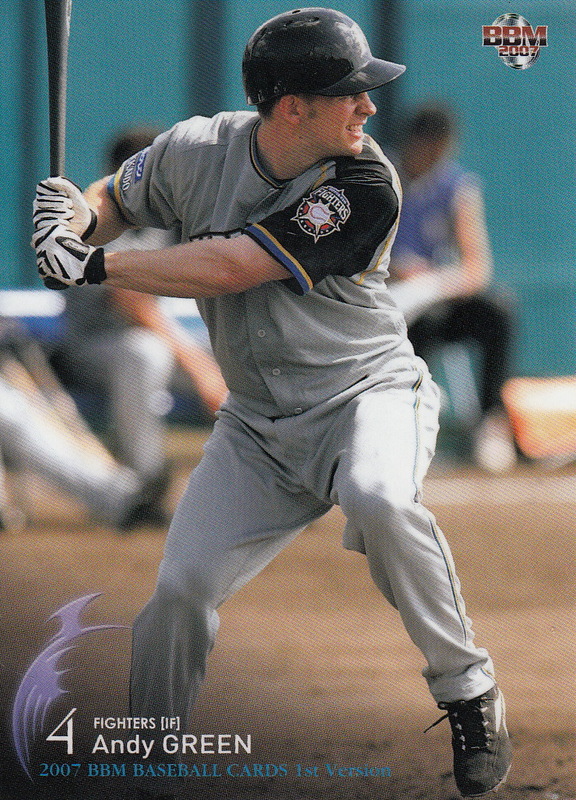 There were two team anniversary sets - one for the 10th Anniversary of Softbank buying the Hawks and the other for the 80th Anniversary of the Hanshin Tigers. They also did a set celebrating their 25th year producing cards. Thought I'd do a "New Import" post for Tony Barnette even though he's returning to North America, not going there for the first time. I figured that since he hadn't played in the majors prior to going to Japan, he's kind of an unknown quantity for North American collectors and it might be useful to list what cards he had in Japan. 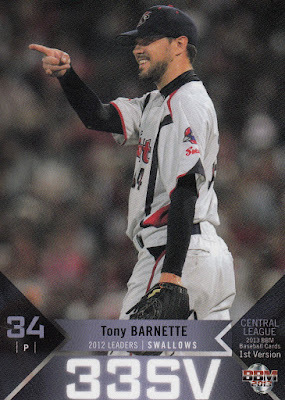 Barnette signed with the Tokyo Yakult Swallows before the 2010 season. 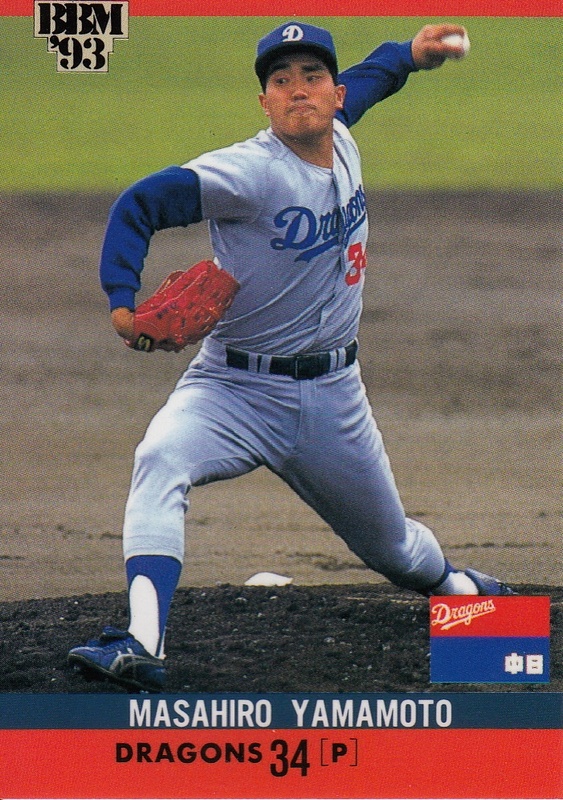 Prior to that he had pitched for four years in the Arizona Diamondbacks organization. The Swallows used him primarily as a starter in his first season with limited success - he went 4-5 with a 5.99 ERA. He moved into the bullpen in 2011 and saw his ERA drop to 2.68. 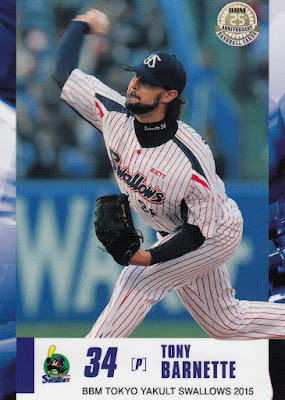 He became the Swallows closer in 2012, notching 33 saves with a 1.82 ERA. He made the All Star team that season and led the Central League in saves. Injuries took their toll in 2013 and 2014 but he was back to "lights out" as the Swallows closer in 2015, again leading the Central League in saves (with 41) and posting a 1.29 ERA. 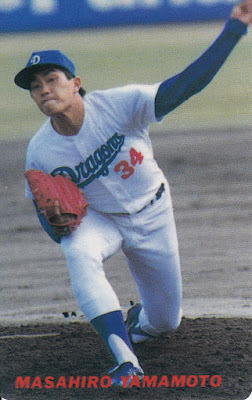 The Swallows attempted to post him following the season but after no one bid, they allowed him to leave as a free agent. He signed a two year deal with the Rangers in mid-December. 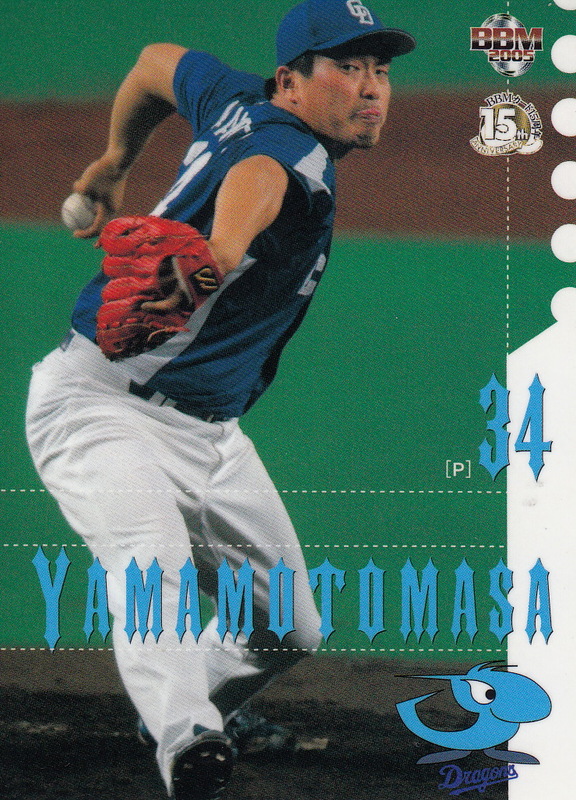 His first Japanese card was in the 2010 BBM 1st Version set (#085). 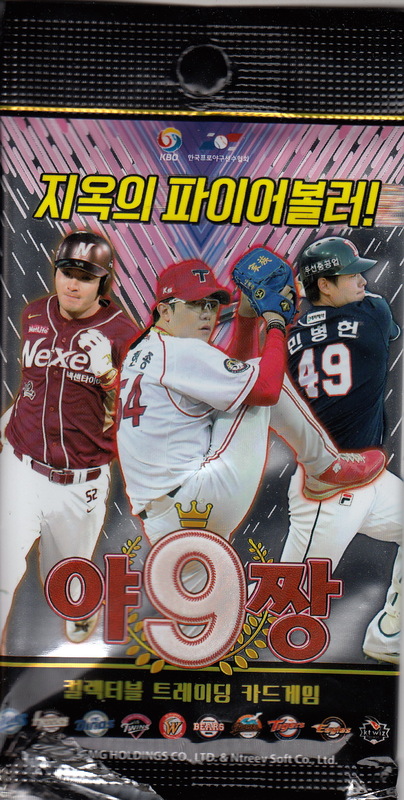 He's had kind of sporadic appearances in BBM's flagship sets - 2010 and 2013 1st Version and 2010, 2011, 2012 and 2015 2nd Version sets (all of which were the 1st Version Update subset except for 2010). 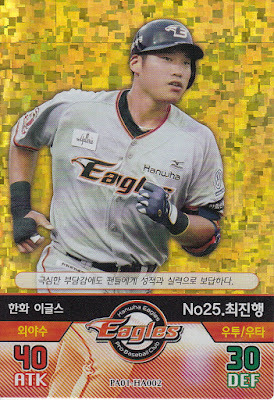 He's been in each BBM Swallows set between 2010 and 2015 and he was in the 2012 BBM All Stars set. 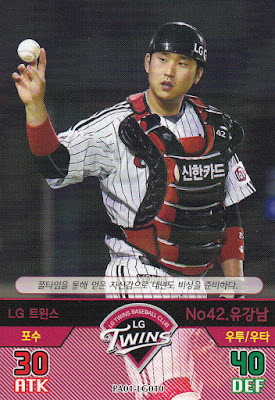 He also appeared in BBM's high end "Genesis" set in 2015. He's had three Calbee cards - 2012, 2013 (Title Holders subset) and 2015 (Exciting Scene). 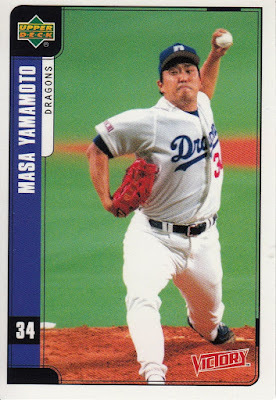 He also appeared in a number of the Bandai and Konami card game sets. 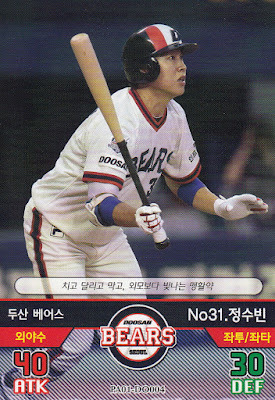 Last week the Orioles signed former Doosan Bears outfielder Hyun-Soo Kim to a two year contract. I haven't seen too many of his cards showing up on Ebay yet, at least not legitimate ones, so I thought I'd do a quick survey of what's available for him. 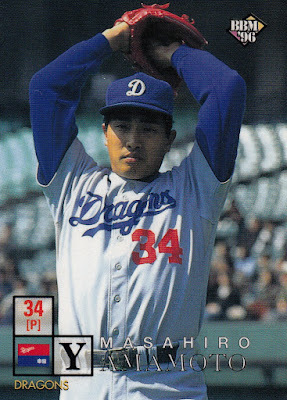 The Trading Card Database lists 39 cards for him, although a great number of those are parallels. 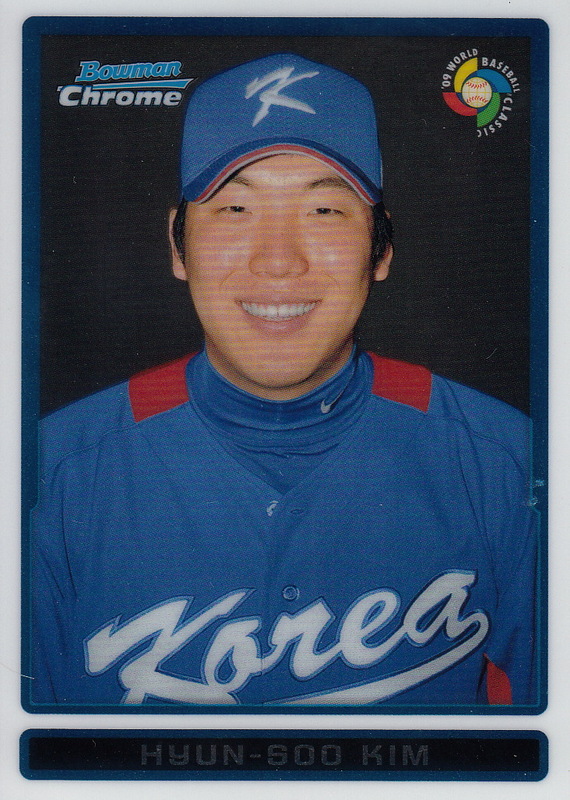 Kim has played for the South Korean National Team at least four times that I've been able to find - the 2008 Olympics (Gold Medal winners), the 2009 WBC (runner ups), the 2013 WBC and the 2015 Premier 12 (Gold Medal winners). 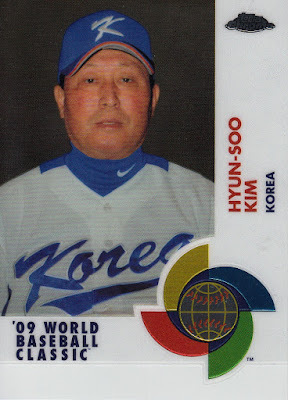 The only cards of him from any of these tournaments are from the 2009 WBC. 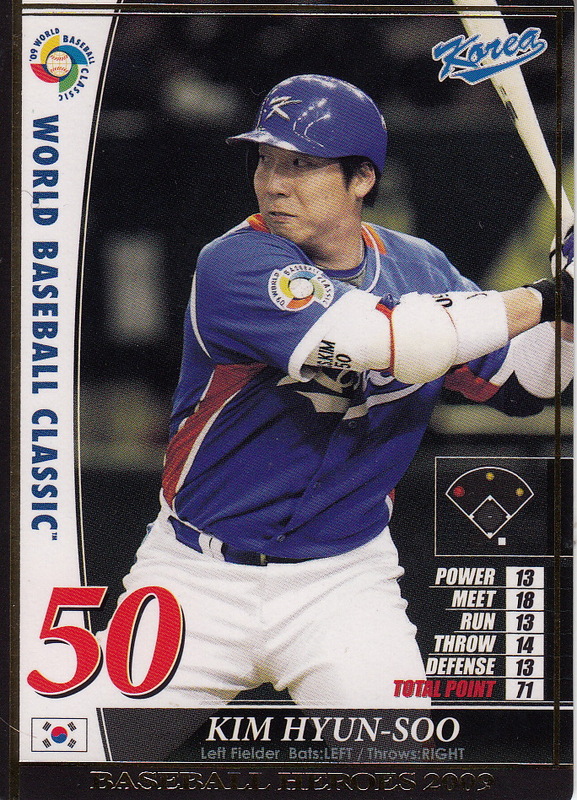 Topps did two cards of him in their batch of WBC related sets (one of which had 11 parallels and the other had nine) and he had two cards in Konami's Baseball Heroes WBC set (one of which was for making the all tournament team). The Padres named Andy Green as their new manager back in October. 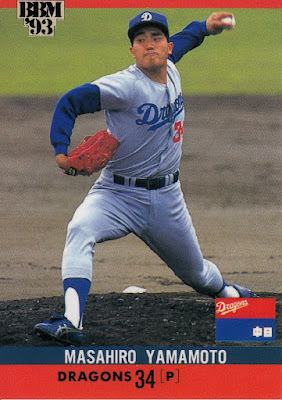 Green most recently was on the Diamondbacks coaching staff but before that he managed in Arizona's minor league system. 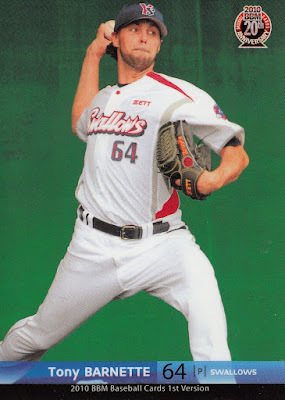 His playing career lasted from 2000 to 2010, mostly in the Diamondbacks system (including the big leagues) but he made some some time in the Reds and Mets organization as well (including another stint in the big leagues with the Mets). 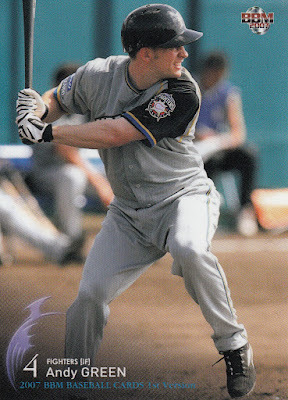 But what's of most interest to us here is the one year he spent with the Hokkaido Nippon Ham Fighters in 2007. 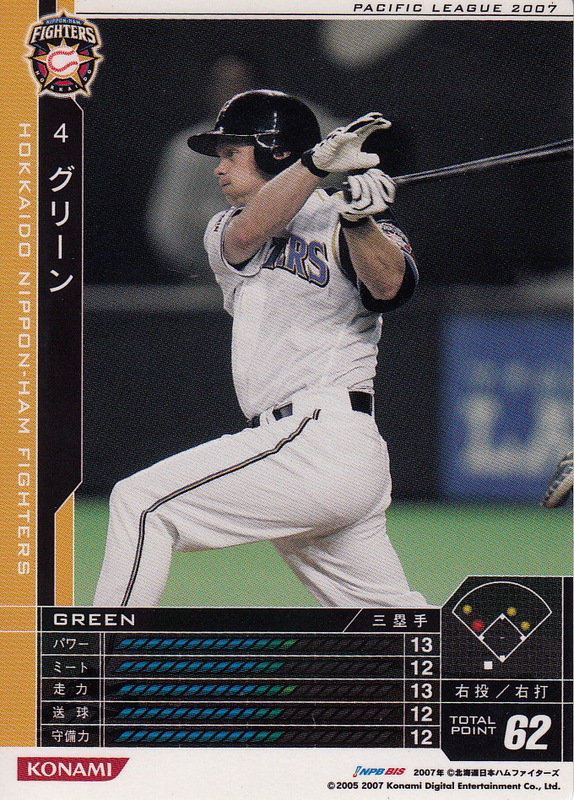 Green had a miserable year with the Fighters, hitting only .197 in 18 games with the ichi-gun team. 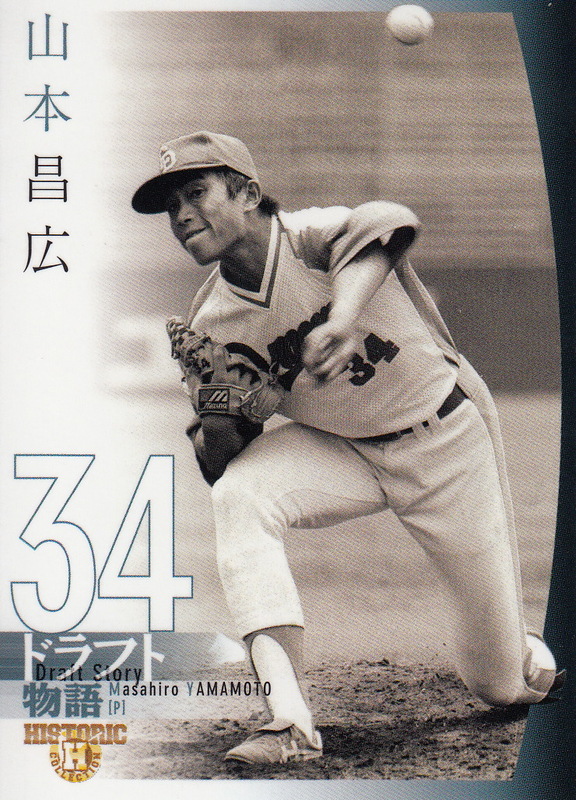 He spent most of the season with the farm team in Kamagaya and was released in August. 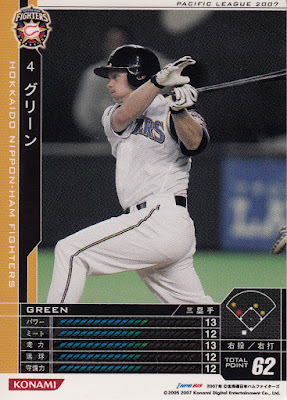 I was amused to see that Green was born on July 7, 1977 - 7/7/77. 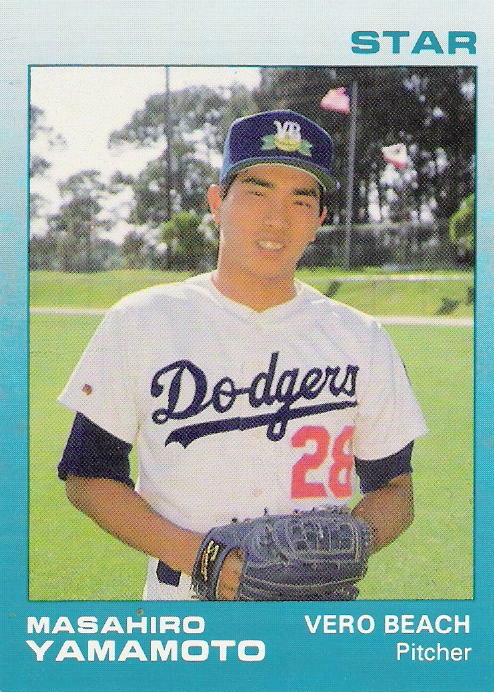 It was bad enough when I got old enough to remember what I was doing on a day that a player was born but it's really making feel old when I remember what I was doing on a day that a manager was born. Rounding out the list of players who retired at the end of the 2015 season is Masahiro Yamamoto, long time pitcher for the Chunichi Dragons. 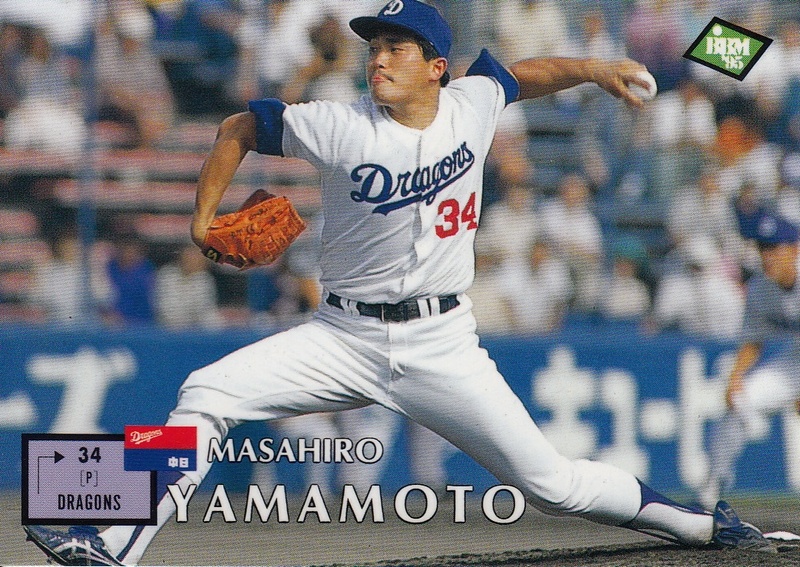 Yamamoto was drafted in the fifth round of the fall 1983 draft - yes, you read that right - 1983. 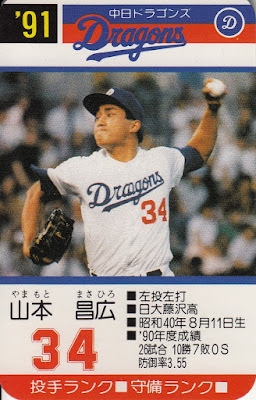 He debuted with the Dragons in late 1986 but his big break came when the team sent him to play for Vero Beach in the Dodgers organization in 1988. 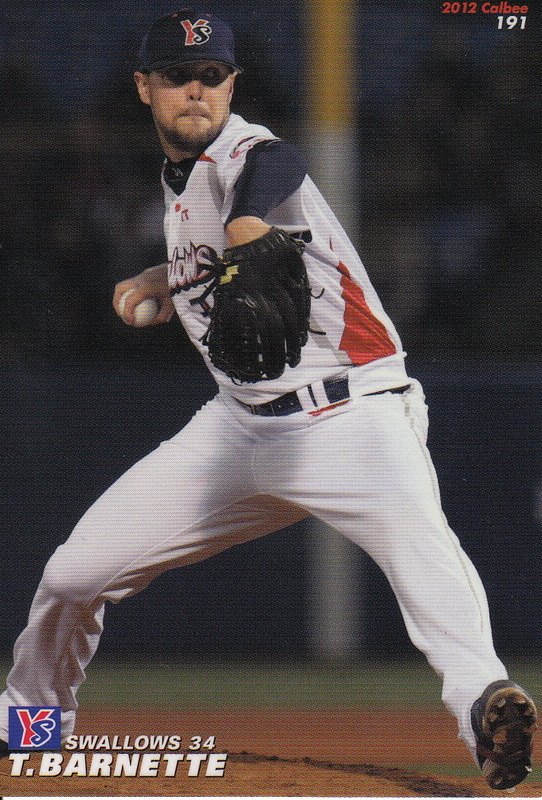 He went 13-7 with a 2.00 ERA in 25 games in Florida, finishing second in the league in ERA and making the official post-season all star team. 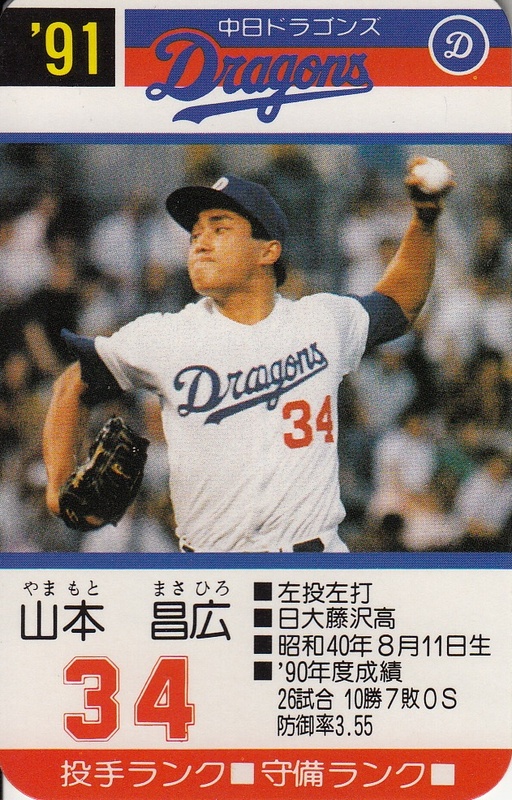 He returned to Japan and moved into the Dragons rotation during the last month of the season, going 5-0 as the Dragons locked up the 1988 Central League pennant. 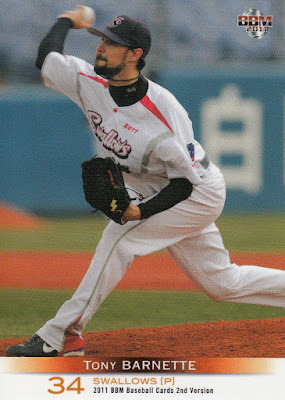 He topped off his whirlwind of a season by starting (and losing) Game Three of the Nippon Series against the Lions. 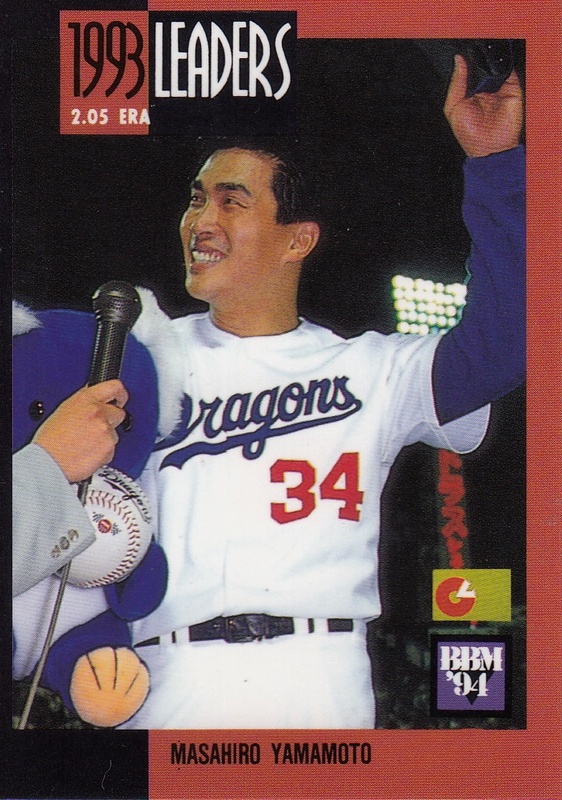 He would become a fixture in the Dragons starting rotation for most of the following 20 years, only failing to start at least 20 games three times during that span. His best seasons came between 1993 and 1997. 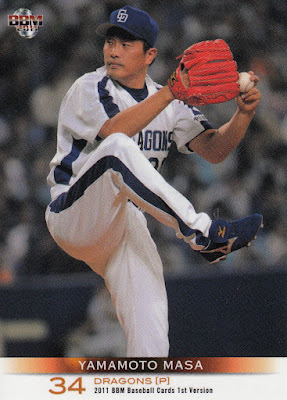 Injuries and age started taking their toll on him following the 2008 season as he only made 48 appearances with the ichi-gun Dragons in the seven seasons since then - he missed the 2011 season completely due to an ankle injury. 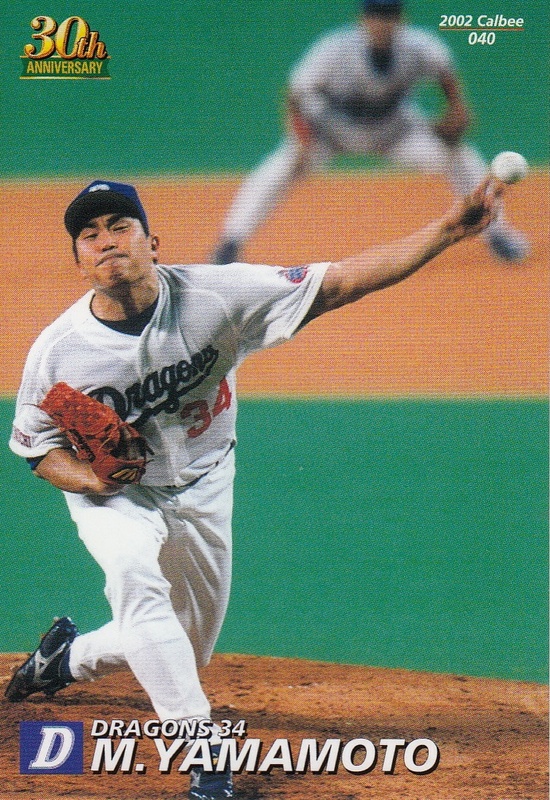 He lead the league in wins three times (1993, 1994 and 1997), ERA once (1993) and strikeouts once (1997). 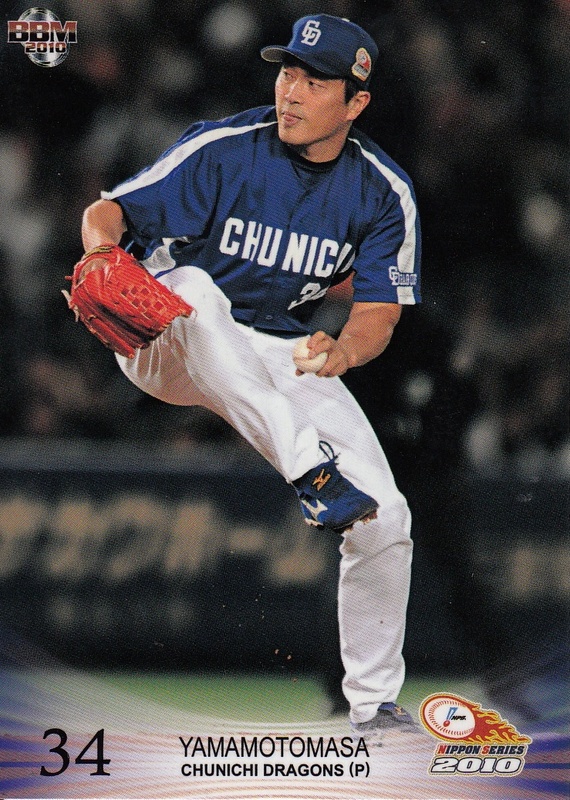 He won the Sawamura Award in 1994 and was named to the CL Best 9 team in 1994 and 1997. He was named to the All Star team in 1989, 1992-94, 1997 and 2004. 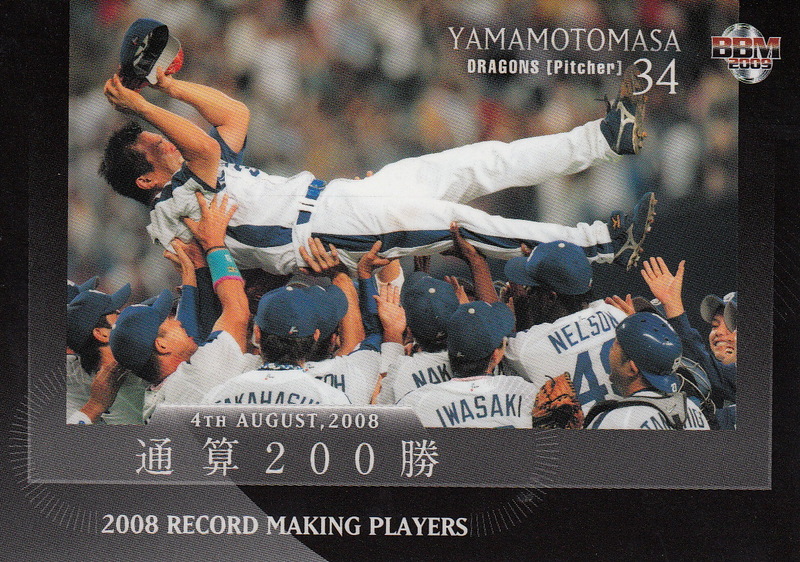 He won his 200th game in 2008 which made him eligible for the Meikyukai. 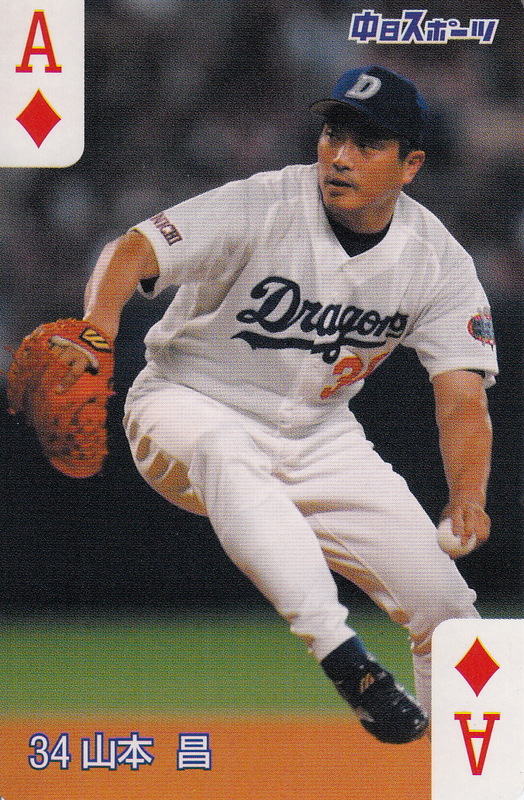 He finished his career with 219 wins and 2310 strikeouts, making him the all time leader in those categories with the Dragons. 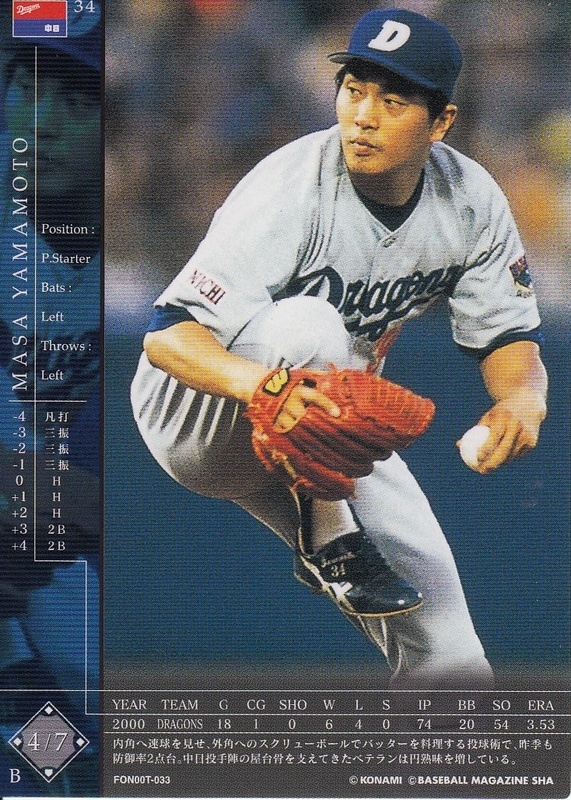 He made appearances in five Nippon Series (1988, 1999, 2004, 2006 and 2010), going 0-4 (injuries prevented him from taking part in the 2007 and 2011 Nippon Series). 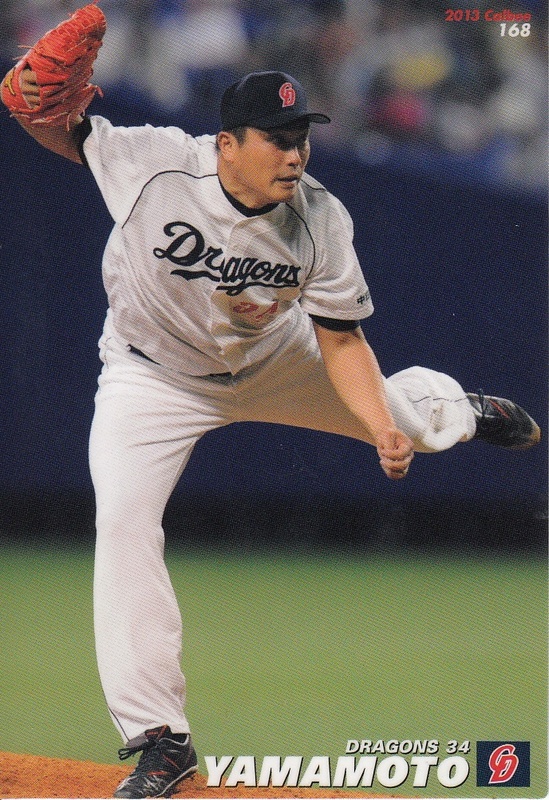 He became the oldest NPB pitcher to throw a no-hitter which he victimized the Tigers on September 16, 2006. 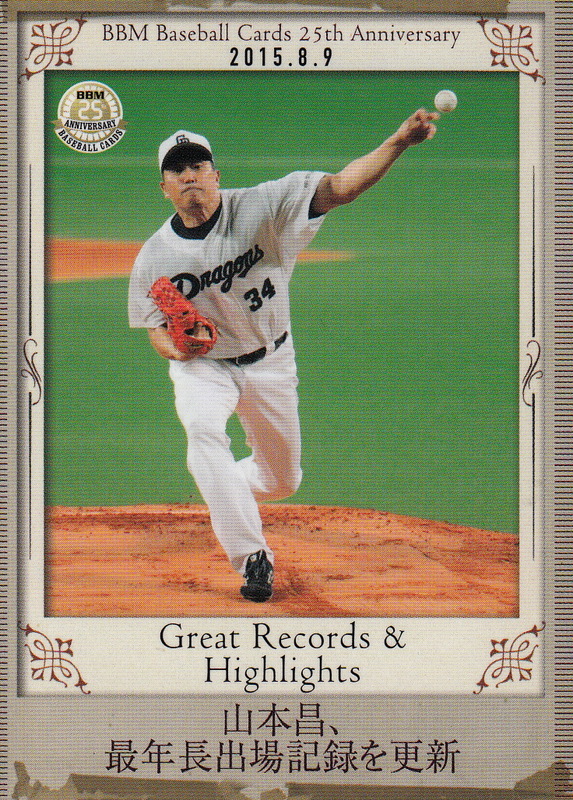 He set several "oldest" records in the past couple years, including oldest pitcher to get a victory and oldest pitcher to appear in a game. 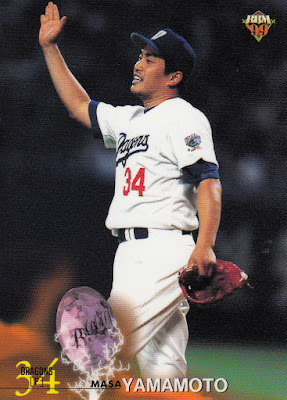 He was 50 years and 57 days old when he made his final appearance on October 7 of the this year. Yamamoto's first baseball cards are actually minor league cards from his time at Vero Beach in 1988. 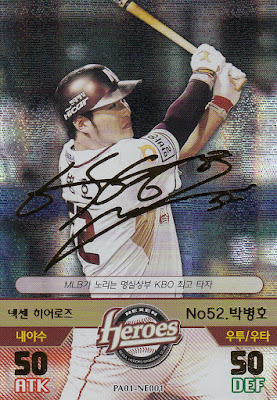 He appears in two sets from Star - the Vero Beach team set and the Florida State League All Stars. 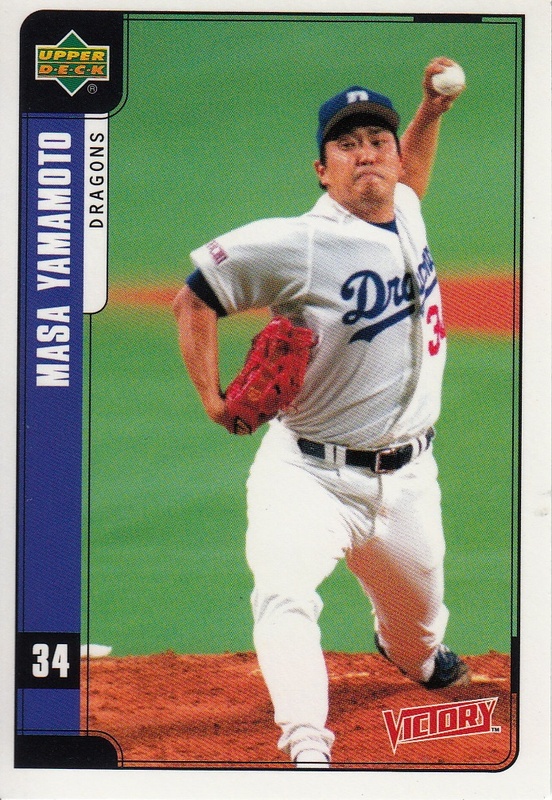 His first card in Japan was from the 1989 Takara Dragons team set. 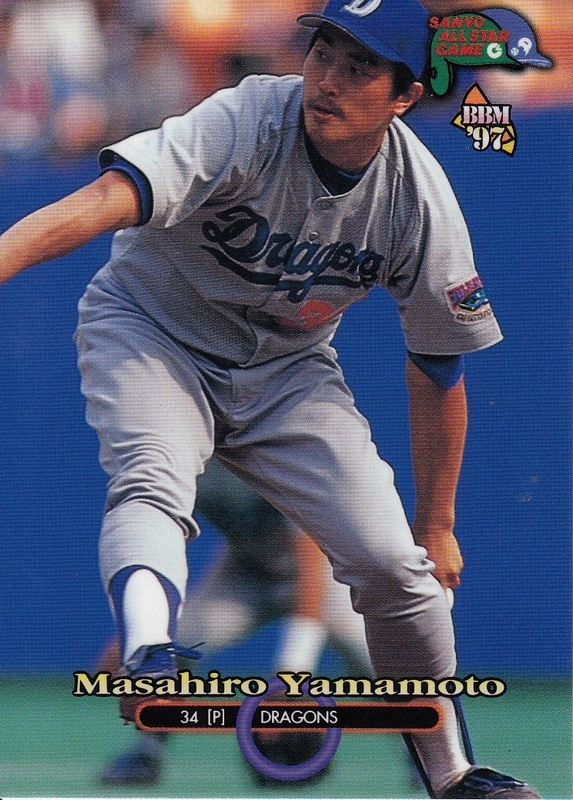 His first Calbee card was #64 in the 1990 set and his first BBM card was #67 in their inaugural set in 1991. I picked up a box of the latest KBO product from Duael Entertainment (at least I think that's the name that the manufacturer used to go by but it may have changed to SMG Holdings or maybe SMG bought out Duael), the same folks who've issued the "Super Star Baseball" KBO sets over the last two years. 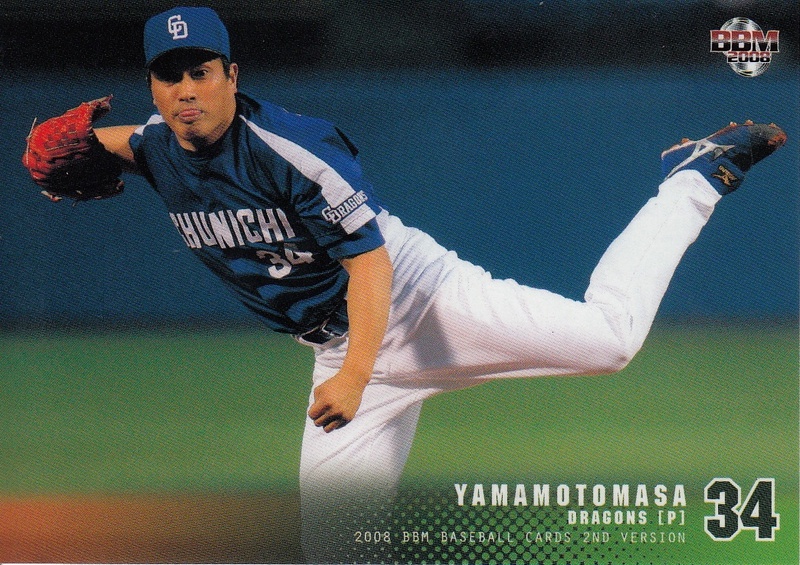 This set is a little different than the earlier sets and for the most part I think the changes are for the better. 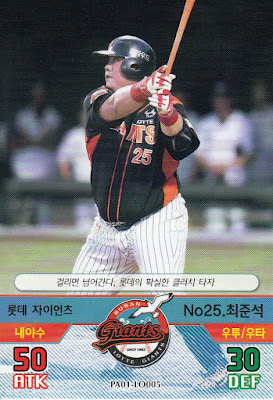 Rather than buy a box from someone on Ebay, this time I ordered the box from Gmarket, using a link that Dan Skrezyna had sent me. Gmarket is a shopping market website like Rakuten Global Market or Amazon where sellers can list items instead of having to have their own website. 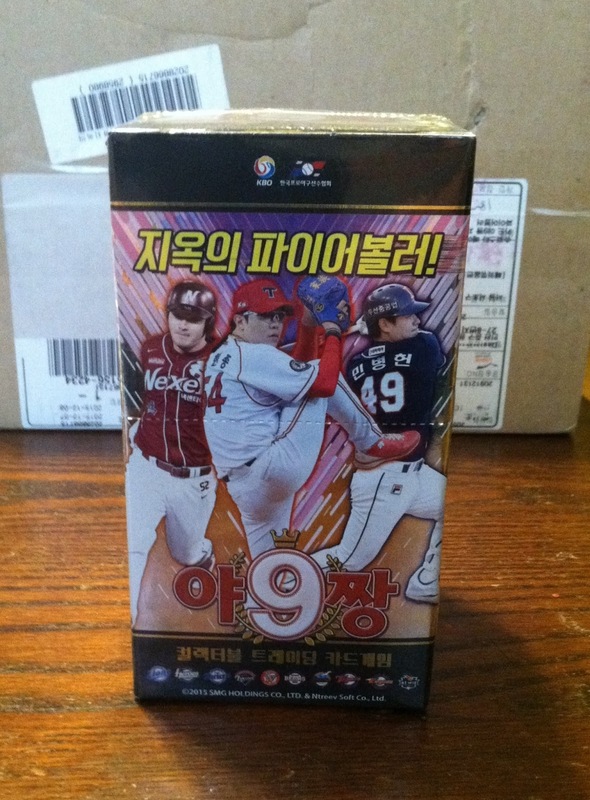 The cost of the box (including EMS shipping) was $36 which is roughly what I had paid on Ebay for the Season One and Season Two boxes this year. The box contains 20 packs, each of which contains eight cards - seven "regular" card and one parallel card. There are no short printed cards and I don't think there are any memorabilia or autograph cards although I could be wrong. There are just the base set cards and the parallels which I will get into more detail about momentarily. 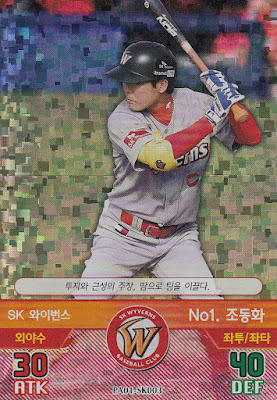 There are 100 cards in the base set - 10 for each of the 10 teams in the KBO. 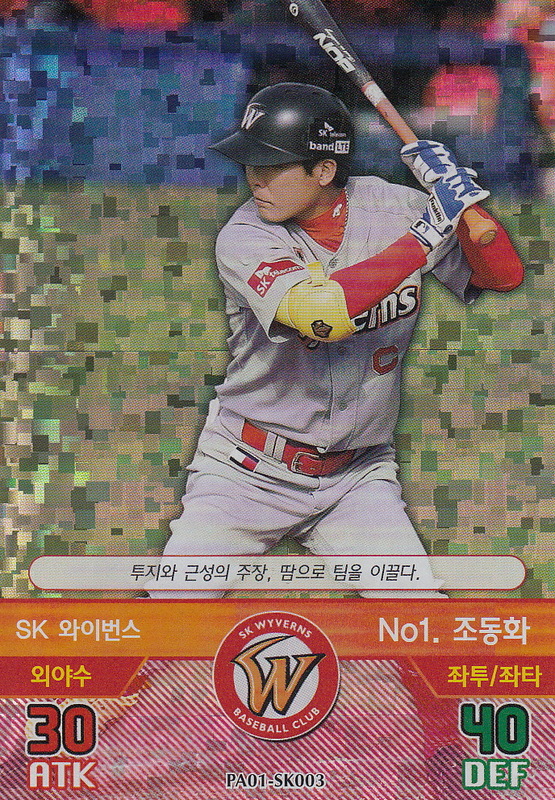 Each team's cards are numbered separately, kind of like the 2010 KBO game set's cards. 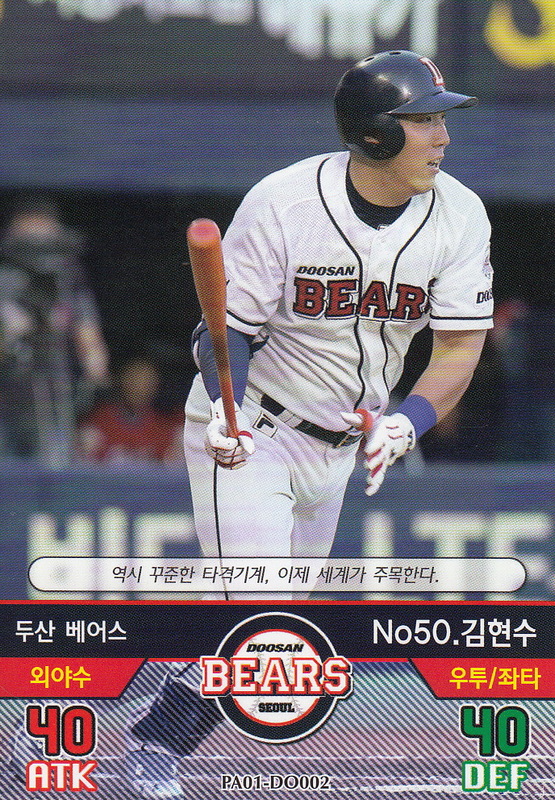 So the 10 cards for the Doosan Bears are numbered PA01-DO001 to PA01-DO010, the Hanwha Eagles cards are numbered PA01-HA001 to PA01-HA010, etc. I don't know where they got the game sheet from. 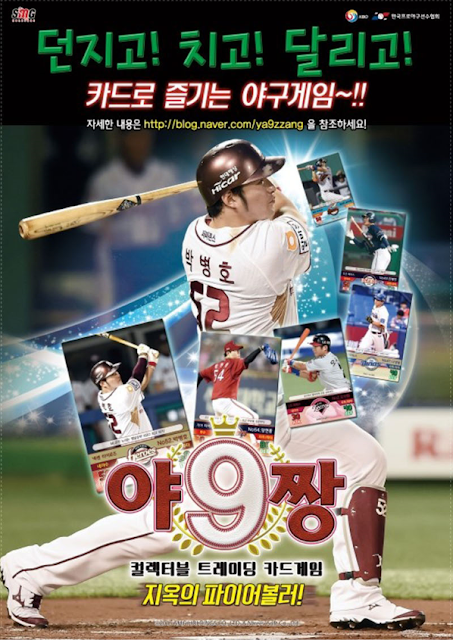 It looks like the 10 cards for each team are a line up - nine position players plus DH. At least it looks like each team only has one pitcher included. 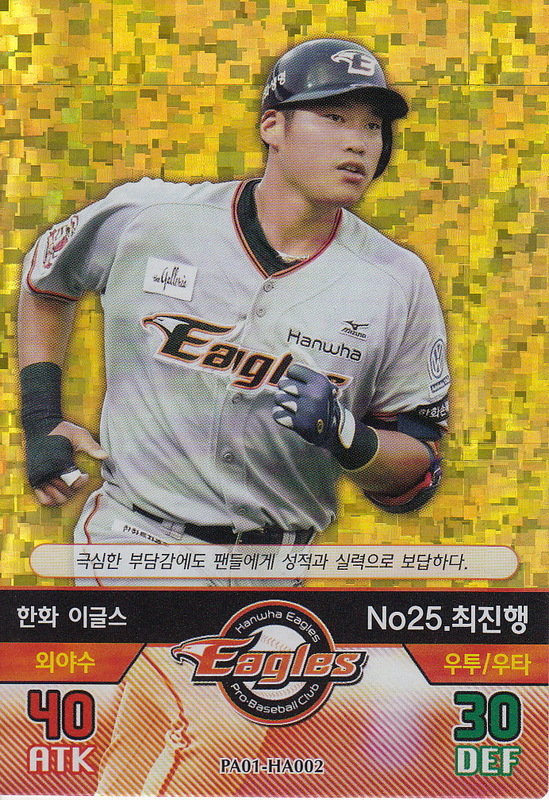 I don't pretend to know enough about KBO teams to figure out if these players make up the regular lineup for the teams but since once again their aren't any foreign players in the set, I would guess not. 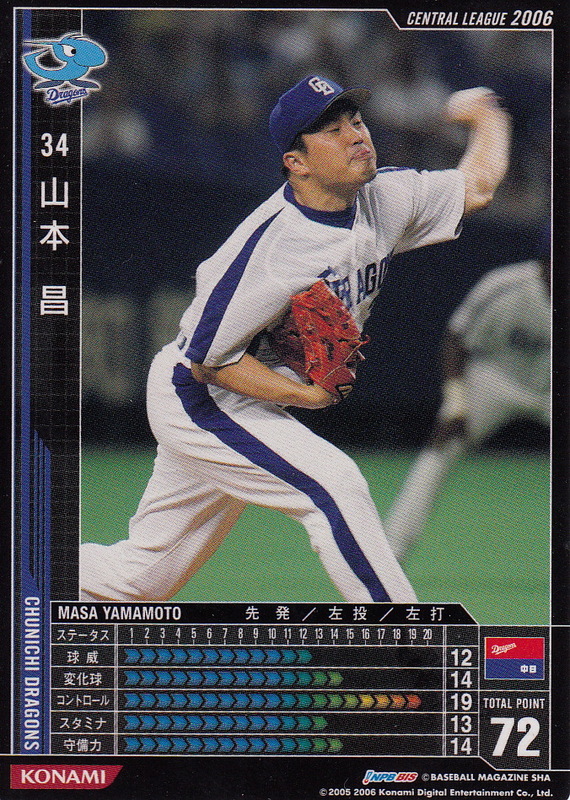 There are four types of parallel cards available. The most common are the kira parallels. 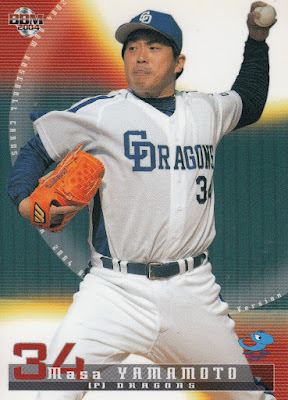 These are only parallels for card #003 for each team. 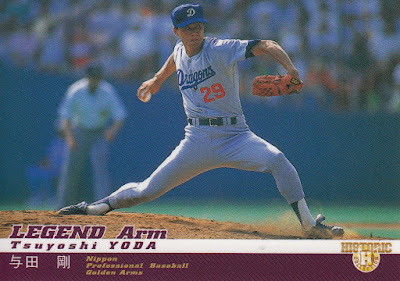 Next most common are the gold kira parallels. There are only parallels for card #002 for each team. 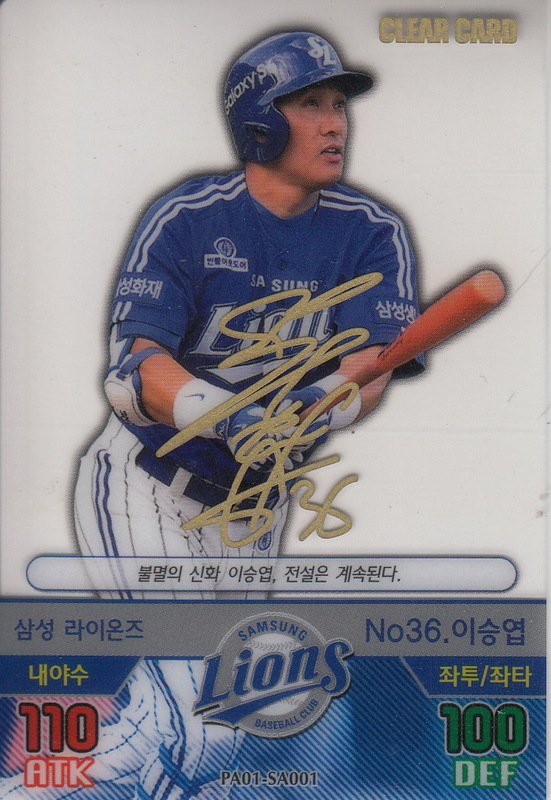 Only slightly less common are the Gold Facsimile Signature parallels. As you might guess from the progression, these are only parallels of card #001 from each team. 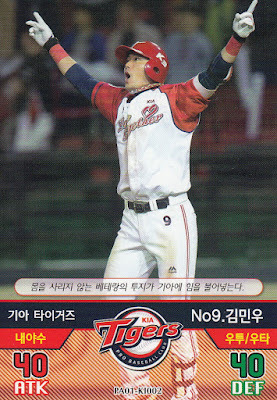 The most rare parallel is the Clear parallel. 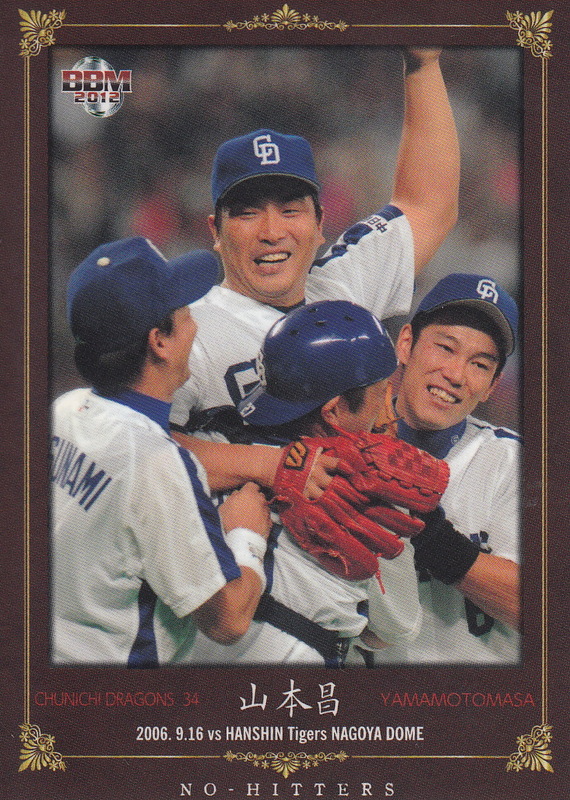 These are also only parallels for card #001 for each team. As you've probably already noticed, the math doesn't quite work out. 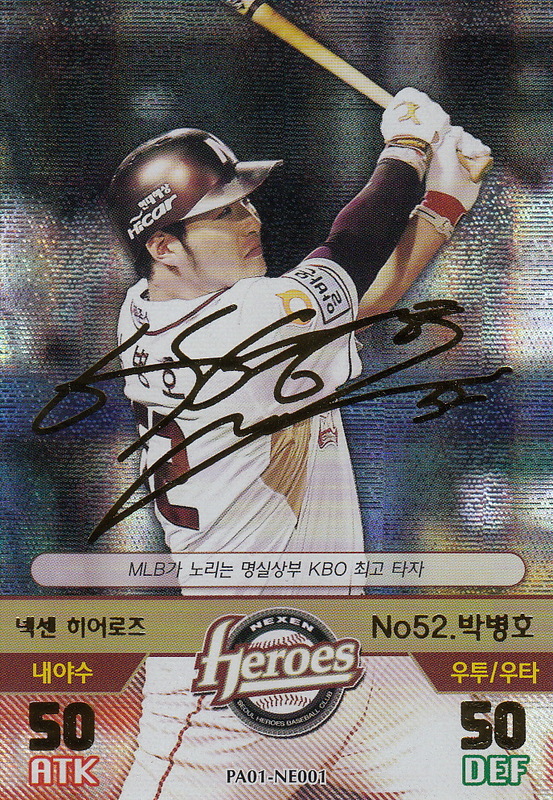 Somehow I can only account for 137 of the expected 140 base set cards. I really have no idea what happened - it doesn't look like there are any cards stuck together and it doesn't look like I dropped any so there must have been a couple packs short of cards. I'd be interested in finding out if others have had the same experience. 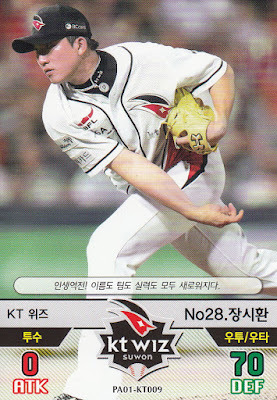 This is one of the most approachable KBO sets since the Teleca sets from 1999-2000. 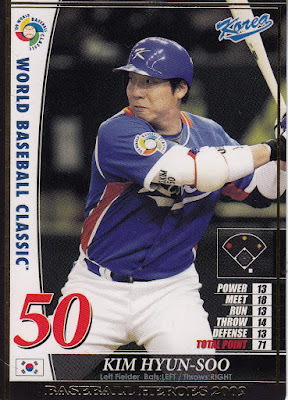 It's theoretically possible to get a complete base set from a single box and there's none of the short prints that have made the earlier sets so frustrating. 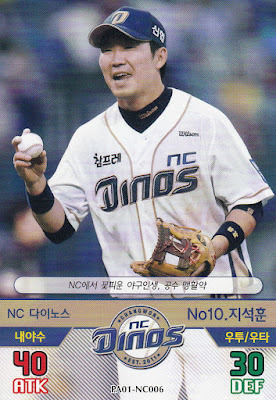 On the other hand, it appears that there are no memorabilia or autograph cards which may make the set less attractive to many collectors. 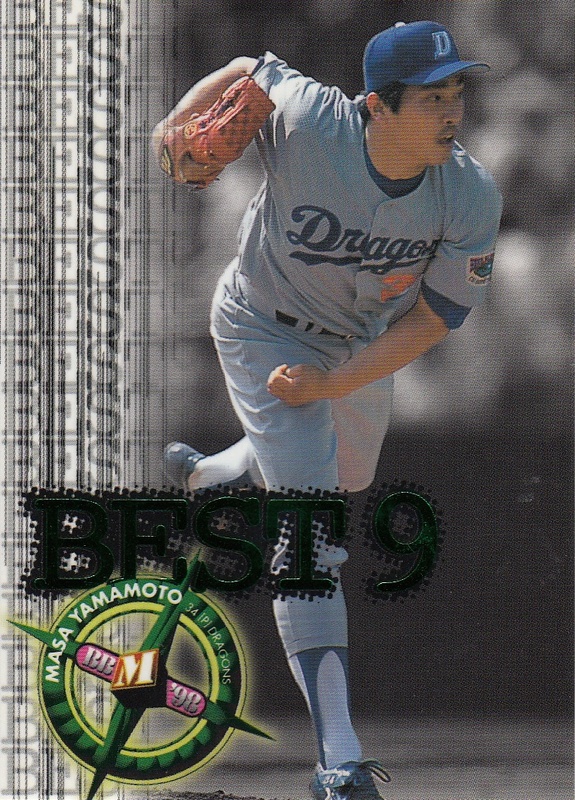 I want to thank Dan Skrezyna for his help with this set - sending me the link for the set on Gmarket, translating the set name for me (somewhere along the line the phrase "hell's fireball" showed up as a possible set name) and even providing the image at the top of the post.